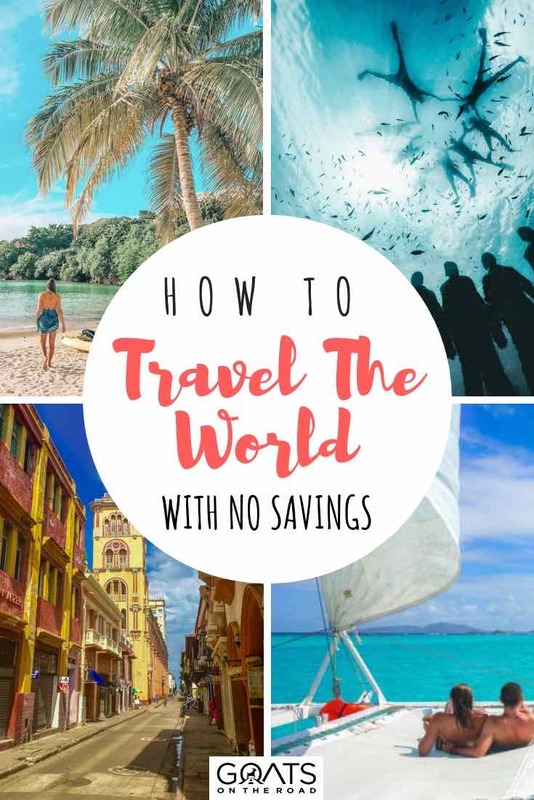 While I have personally never hit the road with a $0 bank balance, there are ways that you can start travelling with very little or no money in your account. 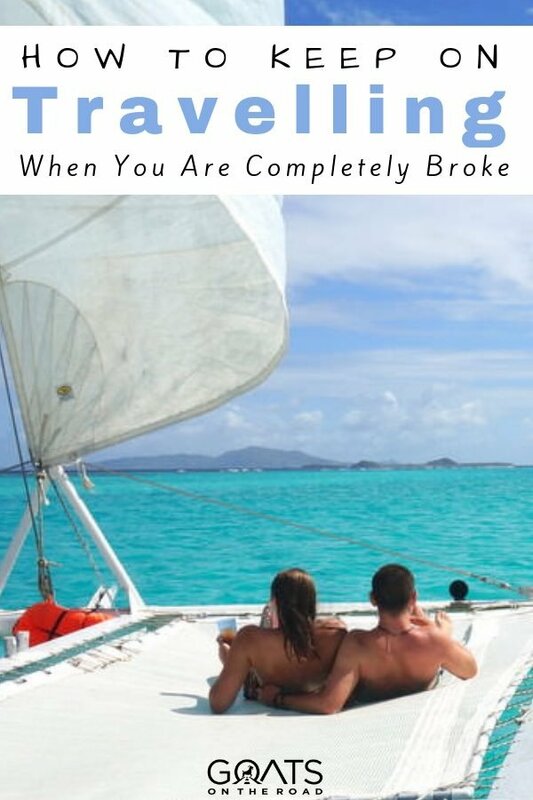 Dariece and I have always had some savings before going on world trips, but that doesn’t mean that we haven’t used these handy hacks from time to time. If you were to combine all of these hacks, then you could take off on a world trip, while eating, sleeping and going on tours all for free. 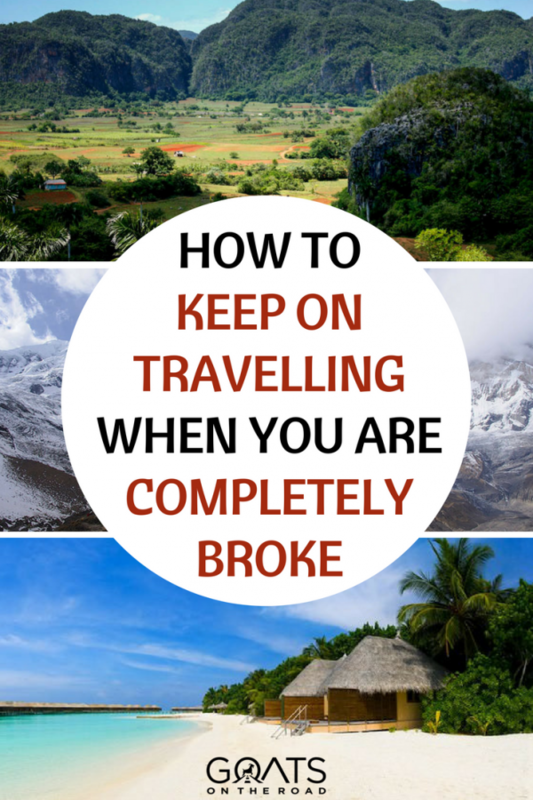 These days, you really don’t need money to travel… No more excuses. Let’s get started. *Note, there are also numerous visa free countries around the world, meaning you can save money by not having to purchase a visa to travel there! 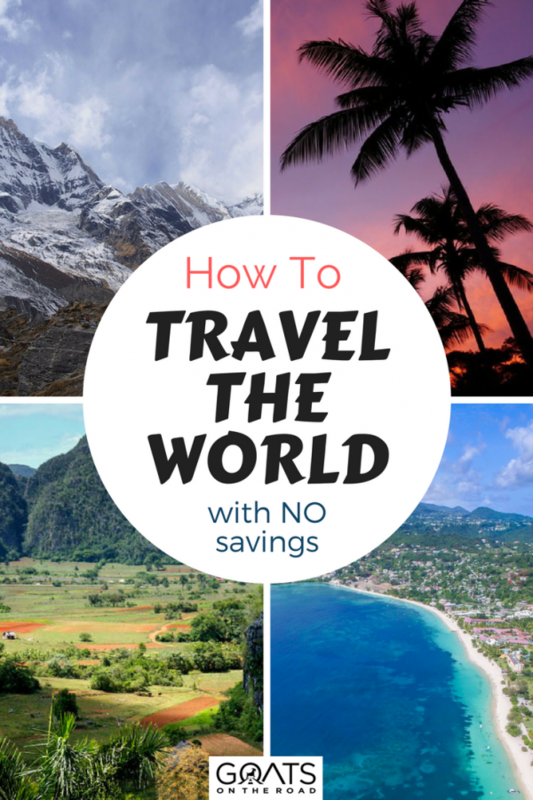 The best way to travel when you have no money is to start a travel blog. Did you know that you can earn $10K / month or more from a travel blog? Why not start one today in just 10 minutes? 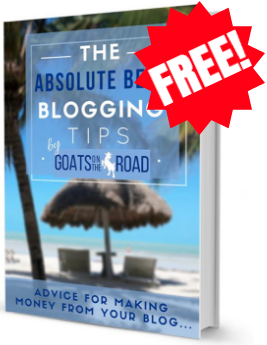 With Goats On The Road, you’ll receive a 63% discount off the cost of web hosting with Bluehost, plus we’ll send you our $20 Pro-Blogging eBook totally FREE. 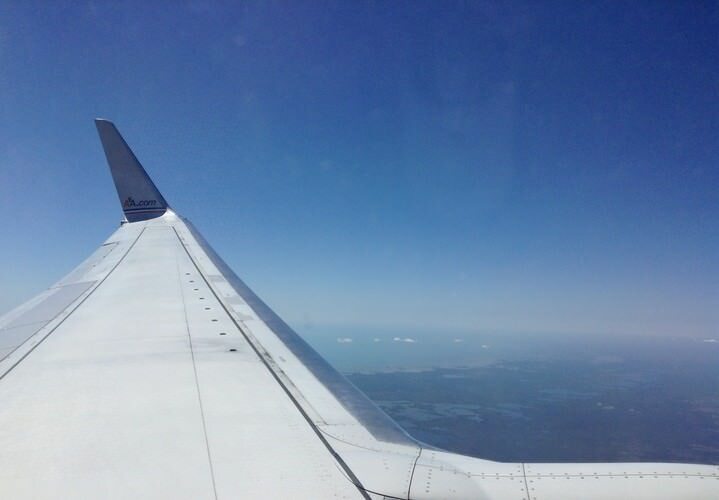 The first thing you’re going to need if you want to travel abroad is a flight ticket. This is a huge expense and one that you’ll have a hard time getting if you have no money. What you need to do is choose the best rewards credit card (or a few of them) and start putting all of your purchases on the right card. When you’re filling up your gas tank at home, use an airmiles card, when you’re buying groceries, get cash back with Scotiabank Gold and with all other purchases, use your favourite cash back credit card. Over an extended period of time, these points can easily add up to enough rewards to pay for a flight overseas. You’ll still have to pay taxes and some fees on your flights after using your rewards points, but the great thing is that the rewards aren’t just for flights. You can use your points to pay for hotels, car rentals and tours all over the world. Sign up now and watch your travel savings start to add up. Want to save those rewards points for a later date? Try to get bumped. These days, there are so many people flying that airlines have started to over book flights. They bank on the fact that some people won’t show up on time to check-in (or at all), but if everyone shows up and the flight actually is overbooked, they’re forced to ask for volunteers to bump their seat in exchange for a free flight voucher. If you are bumped, then you’ll be flown (for free) on the next flight out. Plus, you’ll be rewarded with a flight voucher for the amount of your ticket. This is your free ticket to air travel around the world! This is not a foolproof way to get free flights, but it will work sometimes and can save you thousands of dollars (or rewards points). There are 3 key factors that will play a part in giving you the best chances of getting bumped. 1. Choose a popular flight: If you want to get bumped, then you want to choose a flight on a day that is busy and is a popular destination. Book your flight to a major airport at either the beginning or the end of the week when more people are flying. 2. Pack Light: On the day of your flight, don’t check any baggage. Try to have only carry-on luggage. The airline will look for passengers who are the best candidates for bumping and if they have to go fetch your bag, you’re less likely to be picked. 3. Check in Early & Volunteer: Head to the check-in counter extra early and have a big smile on your face. Politely mention to the agent that if they’re “looking for volunteers” then you are willing to help out. Airline staff will know exactly what you’re talking about and will likely move you to the top of the bump list. Now that you’ve landed a flight without spending any money, it’s time to get free accommodation. It’s really not that difficult to find places to stay for free, you just have to know where to look! House Sitting: You can find house sitting jobs without paying a membership fee by just looking around the web, but in our experience, it’s worth the $8 / month to get a sit through a reputable site. We use TrustedHouseSitters.com and we’ve found jobs in the Caribbean and in Costa Rica. There are often postings for vineyards in Italy, homes on Italy’s islands, mansions in France and castles in the UK. 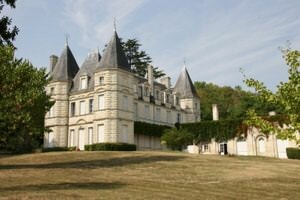 Free luxury accommodation like this is worth the cheap monthly fee and it’s not hard to land a job! Click Here to sign up now. Couch Surfing: This is probably the single best way to stay for free and meet cool people around the world. People around the world offer up their spare room or couch, and you are able to stay with them for free for a few nights. Couch Surfing is a great network of people who all love to travel and be social. Couch surfing is free to join and it offers more than just accommodation. There are often couch surfer meet ups around the world where you can connect with like-minded travellers and have a good time. WWOOFing: In a nutshell, WWOOFing is when you work on an organic farm in exchange for free room and board. Head to the WWOOF website and check through listings from all around the world to find the perfect job for you. Not only do you get free accommodation, but you can learn a valuable skill in the process. Accommodation Exchange: Next time you check into a hostel, ask them if they’re looking for any help in exchange for free accommodation. You’d be surprised at how many places are willing to give you a free bed in exchange for some bartending or reception work. Camping: Bring a tent along with you and you can have free accommodation all around the world. In some countries, it is illegal to pitch a tent without paying a fee, but in most countries you can post up on a beach or in the jungle without having to pay a cent. In Mexico for example, you can camp on almost any beach for free. You’ve landed a free flight and loads of free accommodation, now it’s time to get from one city to the next (or from one country to the next) without paying a cent. To get free transport while travelling, your best bet is to get your thumb ready. Hitch Hiking On The Road: If you’re travelling by land, you can hitch hike for free in most countries. We’ve done it in Mozambique, Mexico, Thailand, Tajikistan, Mongolia, Kyrgyzstan and basically all over the world. In many countries, the locals utilize hitch hiking as a means of transport as well. Just make sure that you’re raising your thumb in a safe place and not putting yourself at risk for a free ride. Note: The symbol for hitch hiking isn’t the same in all countries, so ask locals what the best hand motion is to get picked up. In Iran, thumbs-up has the same meaning as the middle finger, so you probably don’t want to be waving it around on the side of an Iranian road. Hitch Hiking On Boats: Have you ever seen yourself becoming a skipper?! 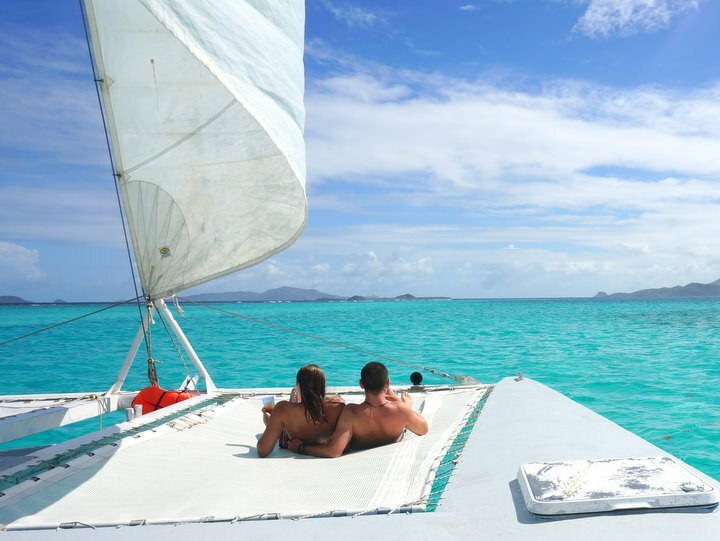 If you want a fun and exciting way to get from one island to another, consider sailing for free. Captains of boats and ships can often use a little bit of help while they’re at sea and even if you’re not experienced, you can probably hitch hike on boats without a problem. Just head to a marina or popular mooring spot and ask around. We’ve met dozens of people who have travelled around the entire Caribbean for free using this technique. Some travellers will resort to a somewhat sanitary method of “dumpster diving” in order to get free meals, but we’re not going to go into that in this article. Plus, there are people who are actually needy and if tourists are raiding the dumpsters, then there will be no food left for them. Eating at Ashrams, Temples & Churches: In some places of holy worship around the world, particularly Sikh temples, free food is given to worshippers. In India, you can get free food all over the place. Just head into a temple, offer to help roll chapatis (indian bread) and you’ll be given a free meal in exchange for your service and attendance. Closing Hours At Bakeries: Even when I worked at Cinnamon City in Canada (many lifetimes ago), the employees were urged to giveaway the remaining baked goods at closing time. Many bakeries and small cafes do this all around the world and if you show up around closing time, you can often land a free meal or tasty snack. Work Exchange: Head into a local restaurant or the restaurant at your hostel and ask if they need any help with dishes, bartending or service. Oftentimes you can work for a few hours in exchange for a few free meals. Festivals & Events: Many events, especially religious ones, will include some sort of free food. 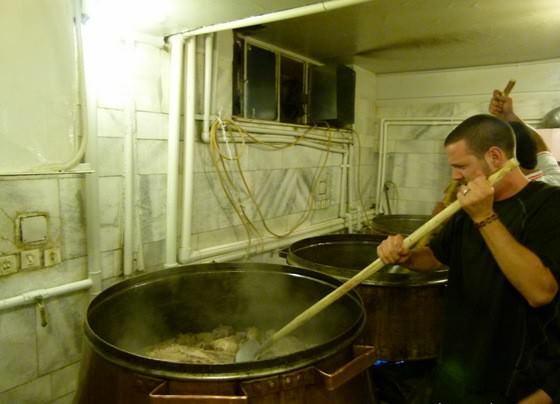 When we were in Iran for Ashura, there was delicious food on every corner, for free! We also helped our hotel distribute food and in exchange we were given free meals. Food Samples: In any one day in Costco or Safeway there can be up to 5 free food sample stands. I’ve filled up on samples without even thinking of saving money while shopping in Canada, so there’s no reason why you couldn’t use this trick at other supermarkets around the world. It won’t be as easy to find free tours as it is to find accommodation, food and transportation, but it’s still possible. Reviews: Keep your eyes out for companies offering a “New Tour”. Oftentimes these companies will be willing to give you a free (or discounted) tour in exchange for your honest feedback. Social Media Share Exchange: If you have quite a few friends / fans on your social media accounts, consider offering tour companies a few social shares and pictures in exchange for a free excursion. If you want to get free travel around the world, then the best way to do so is by learning how to start a travel blog today. We own a travel blog and not only does it generate enough income to travel the world full-time, but companies are always contacting us to offer us free gear, free tours, free flights and free accommodation. Of course, you must work in exchange for these “freebies”, but still, it’s worth it. Travel blogging is the single best way to travel the world without breaking the bank. Not sure about a travel blog name? Doesn’t matter, you can still start a travel blog and come up with a name later! Blogging… The Ultimate Way To Get Free Travel. If you want to travel for free, then all you have to do is ask. Ask airlines to bump your ticket, ask hotels and hostels if they need help, ask restaurants if they need a waiter and ask tour companies if they want to be reviewed. You just have to have the courage to ask. We guarantee that you’ll get more free travel then you ever thought possible. 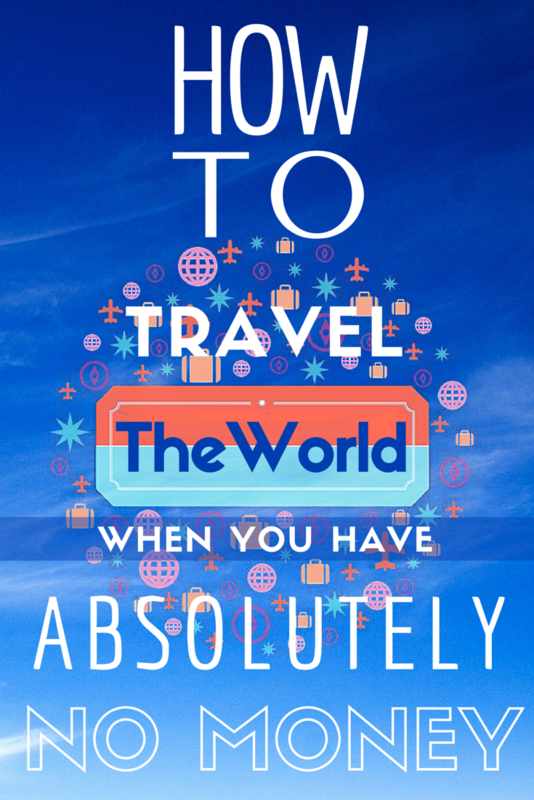 Excellent advice and proof that traveling doesn’t have to be an expensive lifestyle choice! 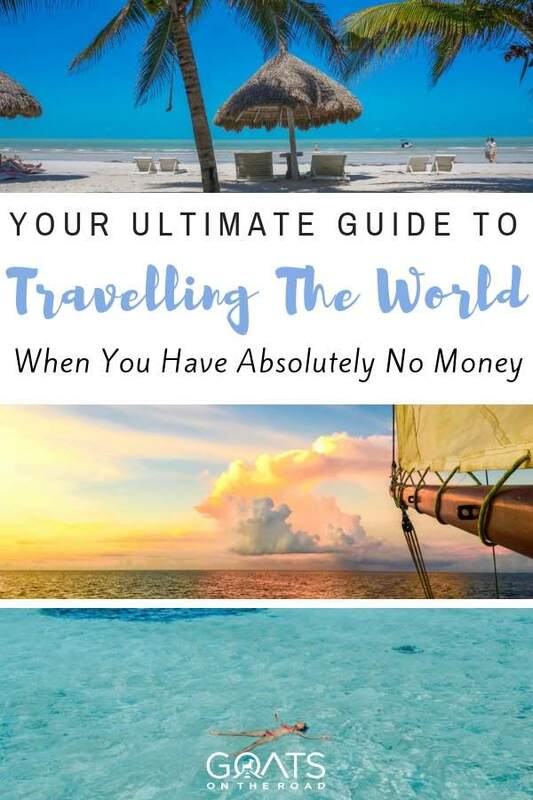 Really helpful article for those of modest means, although the thought of travelling without much (or any) money is not the sort of thought I like to have! Better to travel in style I think. There are many styles of travel for sure. Many people are on a budget, or have little money at all, but they still have a dream of travelling. Luckily, there are ways that one can travel, in style, or on a budget 🙂 Cheers! Earning reward points and finding free flights are what I do regularly. Free deals involving free transport and accommodation are great finds too. Thanks a lot for sharing! Some good points, however for Canadians using credit cards that let you build up air miles for free travel, the air ticket is NOT free. You will still have to pay taxes, fees, security charges etc that can add up to 1/2 the fare cost of regular air fare. Example – I’m flying to Holland next week on a “free” ticket. I used Aeroplan points which cost 60,000, PLUS had to pay $603 in taxes and fees. To get those 60,000 points, means a lot of purchases racked up on my credit card. If you are a student or someone just starting out, it may take you 2 to 5 years before you accumulate enough points with an airline for your first free air ticket. And guess what – airlines continue to raise thresholds of how many points you need to travel. Getting to Europe requires less points than South America or Australia. About free camping on beaches, although this may seem like a lovely idea, be careful on the venue you choose! Camp with friends for better security! A female companion and I were camping solo on a lovely, small remote beach the local’s use on Costa Rica’s West coast (south of Jaco beach) accessed by a muddy, rutted road. There was absolutely no one around, including tourists. Had a lovely supper and sunset together. Then some locals arrived who were drunk and abusive, and started bothering us. Fortunately my companion spoke good Spanish, and was able to calm them down. The moral is, if you choose a spot, have a plan B if the situation changes. Be aware that tourists in many third world countries can be targets too. Being in a remote place where no one can help you, or knows you are there…. might be dangerous. Another important point – no what dangerous reptiles, insects or animals may be in the area! I’ve camped on grassy fields in New Zealand, on a hillside in the West Fiords of Iceland, in Southern Australia and even in a cow pasture near Medicine Hat in Western Canada. The latter location, turned out to have… rattlesnakes! Camped in wild places may be fun, however I’ve been pretty lucky. This has been accomplished by researching the area, or at least scouting it first for dangers. In summary – its better to be safe…. than sorry! Travel safe! Great points Frederic 🙂 Camping alone is usually not the best idea, especially for females. We always recommend that people heed the advice of locals before choosing a campsite for the night. Cheers! Love your site! You are definitely living the dream. Traveling for a living is something we’ve always wanted to do, but we worry about things like saving for retirement. Are you able to save money? What about health insurance? Do you ever worry about one day getting sick of traveling? What will you do after that? Do you miss having a home base? Do you miss having YOUR bed? Sometimes we feel like we’re worrying too much about all that stuff, but it’s hard not to. We are planners and it’s scary to leave the future so neglected. We don’t want to be working when we’re 80 because we dropped everything and traveled. Any thoughts on this and how you deal with life’s realities? Some great questions,. We wonder about medical insurance, too. We can only be out of our province for 5 months at a time or we lose our medical coverage as well. How do you handle this? We now have expat insurance coverage for when we’re travelling…because we’ve been away for too long. While we’re living somewhere (Mexico, China or Grenada for example) we rely on the local healthcare/hospitals should any medical problems arise. When we return to Canada, we just have to notify the healthcare authorities and our insurance is reactivated. I hope this helps! Great questions for sure. We are able to save money from travel blogging/freelance writing, and we saved money when we were teaching English in China as well. We have a bit of a float at the moment. The thing is, we could be travel writers until the day we died if we wanted to. also, couple working online with living in cheaper countries where your money goes further, and that’s how you put money in the bank – and you simply won’t need as much money as you would in a western country. If we’re sick of travelling, we’ll stop I guess. We’ve already slowed down, and spend half of the year in the Caribbean and the other half travelling around, so we consider that a bit of a home base. If it’s meant to be, it’ll be…everything will work out. That’s what we believe and it hasn’t failed us yet 🙂 Good luck! I’m a single female traveler, any tips or site on how to get started with travel blogging? I am also a disabled veteran so I have a lot of time on my hands and not a lot of money. Any help would be much appreciated. There are many steps to starting a travel blog. You’ll need to purchase your domain name, find a hosting service, design a website (or hire someone), create great content and open social media accounts to get your name out there! This is all very vague and basic, but send us an email if you have specific questions 🙂 Good luck! Thank you so much Lillie 🙂 We really appreciate the feedback! This is a great list. I hadn’t considered temples and convents as a way of getting free meals. We’ve done work exchanges and that’s been super solid. We also had a friend who would finger test food to see if it was still warm. He would go around at festivals and check. There’s always the option of dumpster diving. An interesting and very helpful read. Personally these are things I normally wouldn’t think of or consider doing for safety reasons but, I got some great ideas that I just may try. I’m really interested in traveling to different countries and starting a travel blog, GOTR really inspires me. I’m from The Bahamas, you’ll should consider visiting soon :). Thanks for commenting and reading Jaynell! We’d love to come to the Bahamas 🙂 Happy travels! i have had astonishingly good luck traveling around the globe. In Morocco, I saw a truck packing up for a trip at a gorgeous seaside villa and approached the owners who were embarking on a desert safari to take tourists in thier LandRover. Just asking, they gave us the keys and let us stay in thier villa for the week they were gone, so as to prevent vandals from damaging thier home, I expect. In Mexico, I simply asked a local fisherman if he needed help on his boat and had a blast catching fish and then smoking them for sale to the tourists. In Rhodes, Greece we hitchiked throughout the country and met some very nice Russian families there on vacation, not to mention local farmers out doing chores going from place to place. We are seniors which only means we have many, many years of great wisdom gained from being on the road in exotic places. Now we are happily retired, living in the mountains of Panama. hi, you mentioned that you guys are seniors. I am 48yrs and have never travel.. what is the cost of living in panama? and what made you decide on settling in panama? We began by searching articles in magazines and on line for best places to retire. I LOVE your blog and continue to gain wisdom as I take care of some things back home before I set off on my journey in less than 2 years. My goal is to do some traveling here in the US a little at a time while I finish getting out of the student loan debt that I have. Your blog has provided so much information for so many of my questions! Thank you! Also, we emailed back and forth a few weeks ago and I did decide to take one of the names that you suggested! Thank you very much for the idea! By combining these money-saving techniques with work on the road (be it as a SCUBA instructor, ESL teacher, digital nomad, etc), anyone can travel perpetually! By the way, Happy New Year guys, hope Argentina will be awesome for you. Any plans to head to Patagonia at some point? Great tips! Thanks a lot, guys! Will try some of these in my next trip! Thanks for reading and commenting! Happy travels. I’ve never thought of trying to get bumped off a flight before! Not sure how successful that would be but not a bad idea to have in the back pocket if time is no worry! I love the boat-hiking idea too, def guna try that! This sounds like a great opportunity for me . I would like to use it for my studies especially on vacation periods . Hopefully it will come out true for me as it seems . My husband and I love to travel, and this sounds very appealing for our retirement. Thanks for all the great tips! Looking forward to trying it out! Thanks for reading and commenting Dawn Happy travels to you both! Now you’ve made me feel guilty for eating out of trash bin (kidding). A little off THIS topic…I read one of your articles in which you listed your stats…and now I can’t find that article. I’m new to blogging, and know nothing of SEO or what those stats mean. Can you email me the link. For free, wow what a mission! Free treveling tours around the world are only for people who like to take risks. It’s interesting, how many people travel this way? This is really great tips and advice. There is no doubt that money is needed for traveling and it has to come in some way or another. Either you make it or you move people around you to make it for you. And that’s what my mother did. In her case, she traveled (in bicycle btw) all from Oklahoma, Texas, Mexico, all the way down to Argentina in Latin America. She was making friends on Facebook and people was helping her around her traveling that last a whole year. She was staying with friends, friends were giving here money for buses, and of course her family was sending her money once in a while. Although I as her son, would never do that. I would rather make my own money, that’s what she did. She used OPM, other people’s money. I like the idea to work in other countries but in today’s economy, you can create your own job online.